The function of nerve cell is to transmit message to the brain and also to take away messages from brain to the receptors organs.They help to control and coordinate the working of different parts of the body. It is a transparent jelly like material which fills the cell between nucleus and cell membrane.It has many tiny structures in it.The various structures present in the cytoplasm of a cell are called organelles.Cytoplasm of all cells contain other organelles such as mitochondria, golgi bodies , nucleus and ribosomes.The cytoplasm and nucleus taken together make up protoplasm.Most of the metabolic activities occur inside cytoplasm. Nucleus is a large, spherical organelle present in all the cells.In animal cells, nucleus lies in the centre of the cell whereas in plant cells the nucleus may be on the periphery of the cell.Nucleus is the largest organelle in a cell.Nucleus is separated from the cytoplasm by a membrane called nuclear membrane.Nucleus contains thread like structures called chromosomes.They contain genes.The function of chromosomes is to transfer the characteristics from the parents to the offspring through the genes. Cytoplasm, gelatinous fluid inside a cell contains various organelles like mitochondria, Golgi bodies, ribosomes etc. 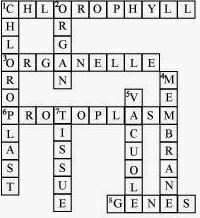 (1) Cell wall is present. Cell wall is absent. Nucleus contains thread like structures called chromosomes.They contain genes.The function of chromosomes is to transfer the characteristics from the parents to the offspring through the genes. Cells are the basic units of life.All the living things are made up of cells.They are the building blocks of plants and animals.A cell is the smallest unit of life which has a definite structure and performs a specific function.Cells exist in various shapes and sizes and perform a wide range of activities.Their shapes and sizes are related to the function it performs. They are green coloured organelles present in the cytoplasm of plant cells.The green colour of chloroplast is due to the presence of a green pigment called chlorophyll in them.Chlorophyll can absorb sunlight energy.In chloroplast, carbon dioxide and water combine in the presence of sunlight energy to produce food such as glucose.They are found only in those plant cells which carry out photosynthesis.